Since 2011, with the support and collaboration of the Embassy of the Lao P.D.R. in Washington D.C., the Ministry of Foreign Affairs, the Ministry of Information, Culture, and Tourism, as well as the Embassy of the United States in Vientiane, Laos; the Pom Foundation, formerly known as the Lao Heritage Foundation Pacific Northwest Chapter, has had the pleasure of working with the Lao National School of Music and Dance in the Pom Foundation Cultural Exchange Program. The Pom Foundation Cultural Exchange Program did more than just provide students with understanding of dance and music. These exchanges developed a deeper appreciation for the Lao heritage and meaningful attachment to Laos and its people. With each successful exchange, students have been able to share that knowledge with the American public through the performances of Lao traditional music and dance in Seattle and other cities across the United States. 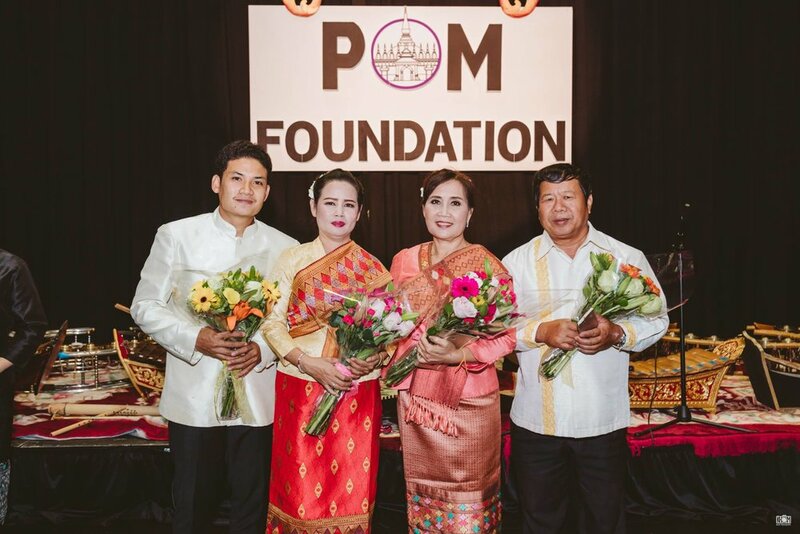 A very special thank you to Ajarn Odai, Ajarn Toun, Ajarn Songsane, and Ajarn Khamsene from the Lao National School of Music & Dance who partook in our 2017 cultural exchange program. Photo by Dennis Sikhanthat. Intensive training for Kinnaly instructors and future instructors.